HOMEResourcesInsightsBlog PostsWill Flexible Seating Create Chaos in Your Classroom? “I believed that putting students in rows facing the front of the room would make them easier to manage. I also believed that an effective classroom was a quiet classroom. Everyone was supposed to be quiet except for me.” – Caitlin Tucker, Classroom Furniture: Does it impede or improve learning? For over a century, classroom design has basically been the same. We can all picture desks lined up in neat rows with a teacher lecturing at the front of the class. However, with technology disrupting education and fundamentally changing the way students learn, there is a movement in the education community towards active classrooms with flexible seating. Many academic studies show the benefits of movement and learning. Are there Really Benefits to Active Learning and Flexible Seating? In our own Back to School, Movement is Learning blog post, we discuss several studies that credit movement with better learning. 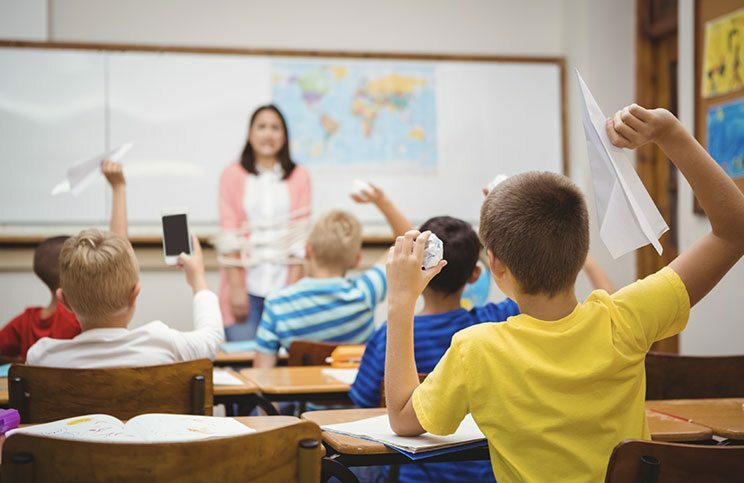 A 2013 report from the Institute of Medicine concluded that children who are more active “show greater attention, have faster cognitive processing speed and perform better on standardized academic tests than children who are less active.” And a study released in January by Lund University in Sweden shows that students, especially boys, who had daily physical education, did better in school.” according to the recent NY Times article Why Kids Shouldn’t Sit Still in Class. Most educators understand that changes in modern technology have fundamentally shifted their role. Furthermore, research points to the fact that active learning is the best way forward for students. In theory, it all makes sense. But it’s just that—theory. The disconnect seems to be between theory and practice. As Lauren Bright noted, changing the furniture without changing the procedure can create the exact chaotic situation that concerns teachers. One thing is clear: the 21st Century Classroom isn’t one size fits all. In fact, the movement towards personalized learning and flexible seating must include personalizing the classroom for the teacher, the students and the subject being taught. Perhaps a science classroom has one designated area with chairs on casters or a sit to stand desk for the teacher. The key is to plan before the purchase. Think about a typical day and what might work best. Consider the teacher, the students and the subject. Think about what’s suitable for the subject being taught and what type of environment would make that teacher most comfortable. A teacher that is uncomfortable in their own classroom can have a negative impact on the students. Create rules. Changing classroom furniture doesn’t mean that rules go out the window. 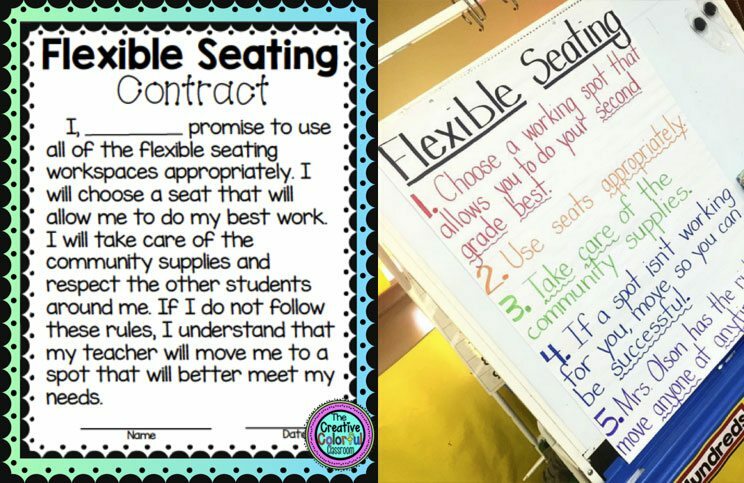 Many teachers post rules or make students sign a contract to ensure they understand how to behave in their new space. Go at a comfortable pace. Change doesn’t have to be all or nothing. Administrators can pick specific subjects or teachers for a pilot. Apprehension about flexible seating and active classrooms is not uncommon. Take it slow and determine what works best for the situation.